Manchester City celebrated its League title win in front of its own fans with another powerful display in dismantling Swansea City (5-0) followed afterwards by a pitch invasion. This was also the weekend of the FA Cup semifinals and Manchester United and Chelsea booked their places in the Final, where Jose Mourinho will face his former club. The last time the two sides met in the Final, Mourinho’s Chelsea defeated Manchester United (1-0) in 2007. Liverpool’s Mohamed Salah capped off a magnificent season by being named as the PFA player of the year, with Manchester City’s Leroy Sane being named as the Young player of the Year. However, the biggest news of this week was the impending resignation of Arsenal Manager Arsene Wenger after nearly 22 years in charge. He was the longest current serving Premier League Manager. In his tenure, Arsenal won Three English Premiership titles (1998, 2002, 2004) as well as even more FA Cups along the way. 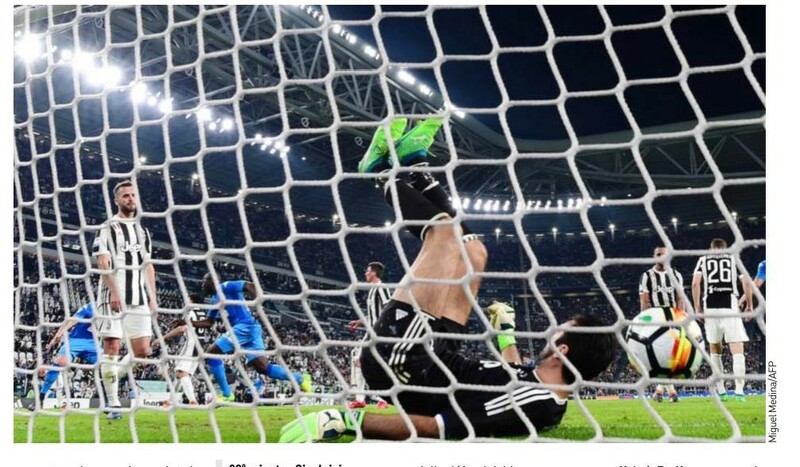 When the week started it seemed like the Scudetto was just within the grasp of Juventus, as they held a commanding six point lead. By the end of the week the lead had shrunk to a solitary one. First in midweek, Napoli narrowed the gap to four points as Juve were held by Crotone (1-1) and Napoli defeated Udinese (4-2). The showdown between the giants was set on Sunday. Uncharacteristically, Juventus appeared to be playing for a draw (at home) to maintain their lead. 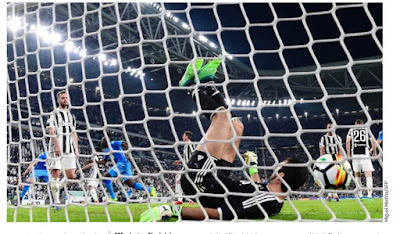 Napoli had to win to have any chance for the Scudetto and had more of the initiative, though they rarely troubled Juventus, whose plan appeared to be paying dividends. 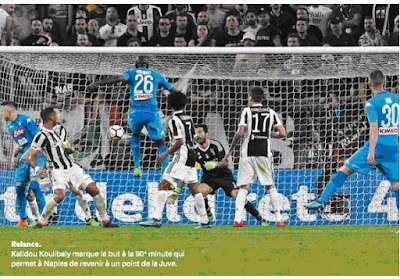 That is until the very last minute, when a careless giveaway led to a corner from which Koulibaly powerfully headed Napoli’s winner. 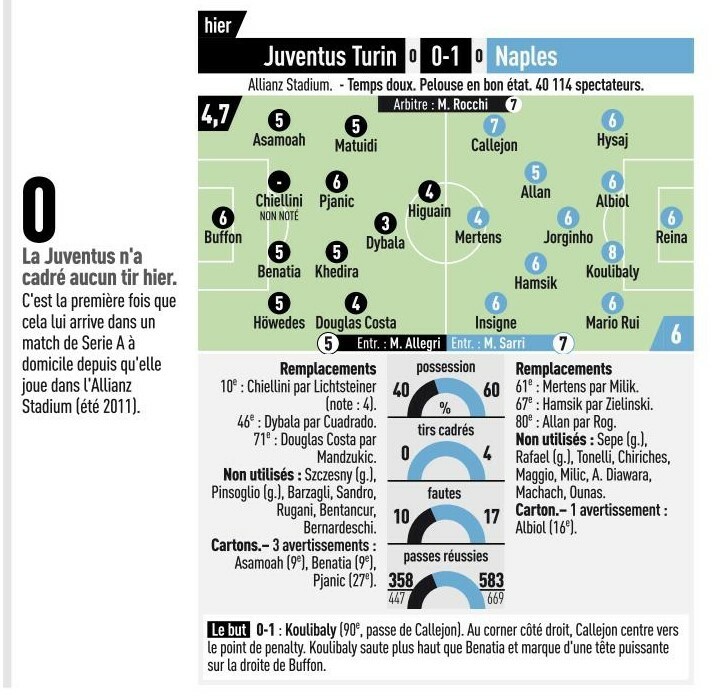 Naturally, Allegri’s choice of tactics will be questioned (that nearly worked), with many wondering why Juventus played defensively at home (not a single shot on target) in a match where they could have killed the title race with a win. Now it’s game on as far as the title and Juventus face a tougher schedule with matches against Inter and Roma. The difference a week makes. The main attraction of this week was the Copa Del Rey Final. Sevilla that had given Barcelona a scare just few weeks before, were completely outplayed in a match that was more like a training exercise for Barcelona who won their fourth straight Copa Del Rey title by winning (5-0). 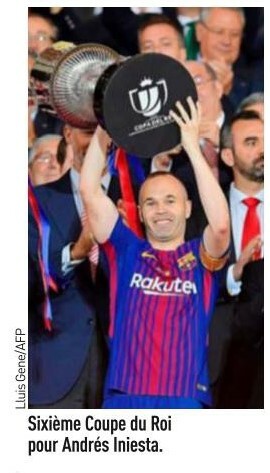 It was an emotional farewell for Barcelona Captain Andres Iniesta, who played his last Copa Del Rey match for the club. He is expected to leave the club at the end of the season, most likely for China. The League title has been Barcelona’s for some time and Atletico Madrid missed its chance to prolong their resistance as they were held scoreless at home by Betis. Atletico are most likely concentrating on the more realistic objective of Europa League glory. Barcelona can clinch the title with one more win. The main focus this week were the DfB Pokal semifinals. Bayern are now in line for a possible treble after qualifying for the Final by easily disposing of Leverkusen (6-2). Their opponents will be Eintracht Frankfurt (managed by Bayern’s future Manager Niko Kovac). Frankfurt defeated Schalke (1-0) to reach the Final. In the Bundesliga, Bayern continued winning with Ruhr rivals Schalke and Dortmund vying for the second spot. The League Champions Paris St. Germain sealed a date for the French Cup Final in midweek by defeating Caen. Their opponents in the Final will be lower League side Les Herbiers. It would be a miracle of epic proportions in the History of the game if the Parisians do not win. Monaco had appeared comfortably set in the runner-up spot as the only semi-challengers to PSG’s supremacy. 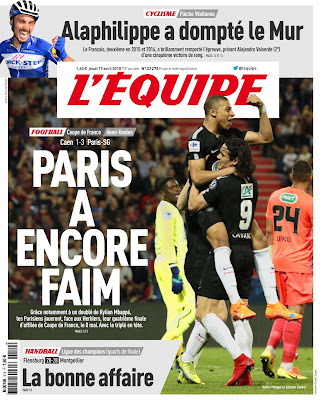 However, they appear to be on a freefall after their (1-7) loss to PSG last week. 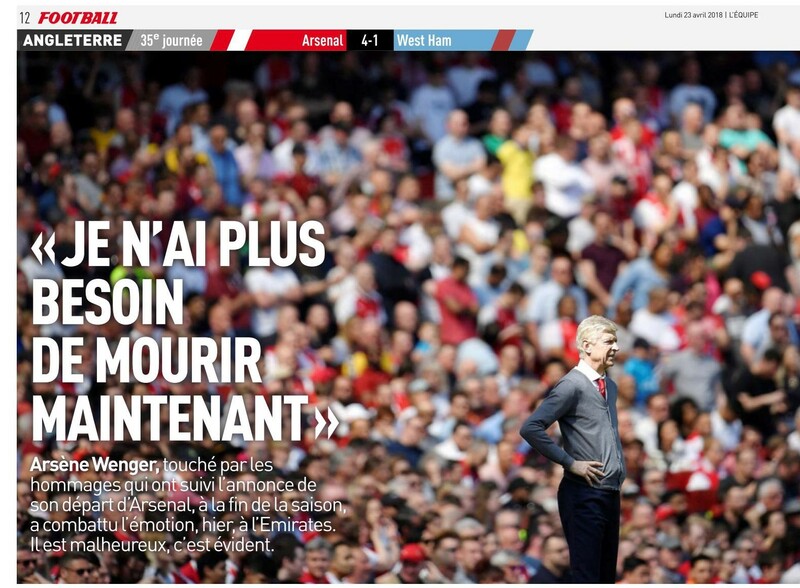 They lost again, this time to Guingamp (1-3). 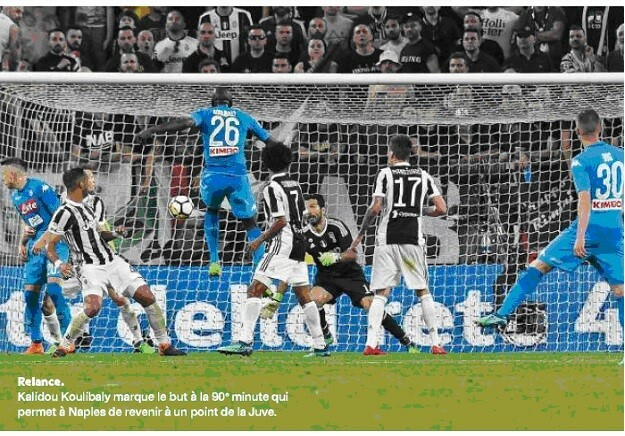 This allowed their narrowest challengers Lyon and Marseille to narrow the gap to just one point. The two sides appear to have the momentum with Marseille galvanized by their Europa League run. Interesting few weeks ahead for the Champions League spots.